After many months of intensive preparation, detailed planning and the hurdles that you may have endured your special day has finally arrived. The day will start off bright and early as your family and friends begin to gather to start the festivities that you have planned. 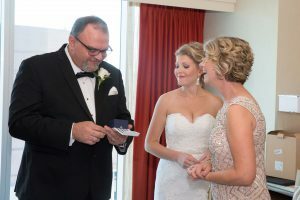 Over several years of weddings, many couples have developed their own special rituals on top of some traditional ones that they may perform throughout their wedding day. These rituals can create beautiful moments that you may come to treasure for the years to come. We have been blessed to be a part of many of these special moments and we wish to share the most popular (and some of our favorite!) rituals with you. 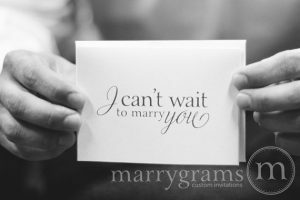 When your minds may be rushing, completely consumed with all of the details falling into place, something as simple as opening up a handwritten letter from your soon-to-be spouse can calm your nerves and allow you to relish in a moment of bliss before you walk down the aisle. Just remember to keep a box of tissues nearby. There is just something about taking the time to put funny pictures or memories together in a book that can bring a smile to anyone’s face (and perhaps a few tears of joy). 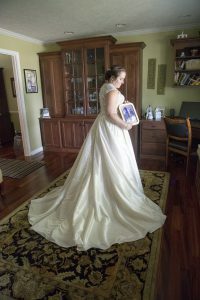 We’ve witnessed Brides and Grooms exchanging memory books and we’ve also seen Bridesmaids make a memory book for their bride. For this moment it truly is the thought that counts and creates a special atmosphere on your day. You can create your own scrapbooks online at this site. 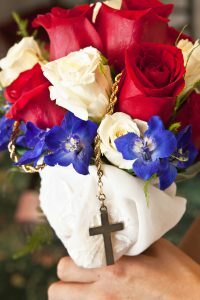 Marriage is the unity of two people and often times religion can bring the two of you even closer. 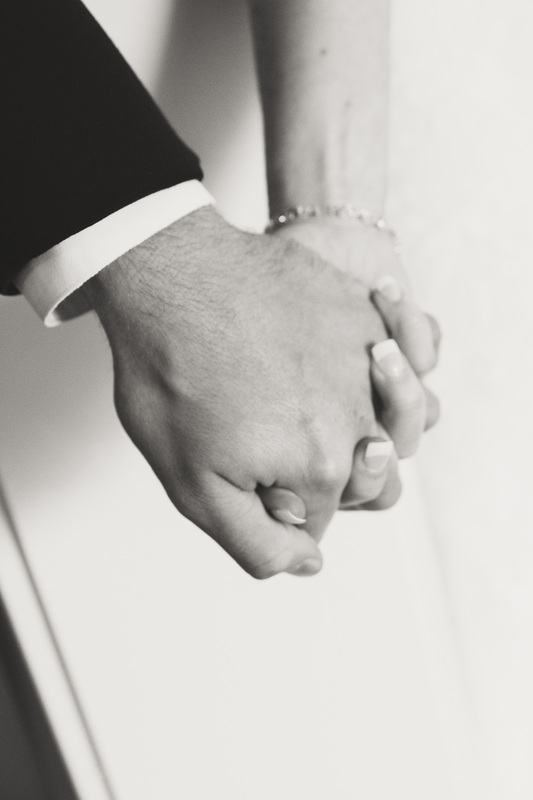 Many couples will join hands before they journey down the aisle to pray together. This is such a beautiful moment between the couple and it can give the two of you ease of mind as you make that iconic walk. If you are aware of the traditions that have been around for years many people believed that it was bad luck for a Bride and Groom to see each other before they walked down the aisle. Lately though many couples have been including a first look into their wedding day plans. A first look is actually a wonderful opportunity for the couple to share a very intimate moment together while also working out any nervous/excited jitters before their big moment. These often create the most stunning photos as well. Although this day is specifically for the Bride and Groom we also have to remember that this is a big moment for the parents as well. Their baby girl, baby boy have grown up and found someone else who is willing to care for them and love them unconditionally. 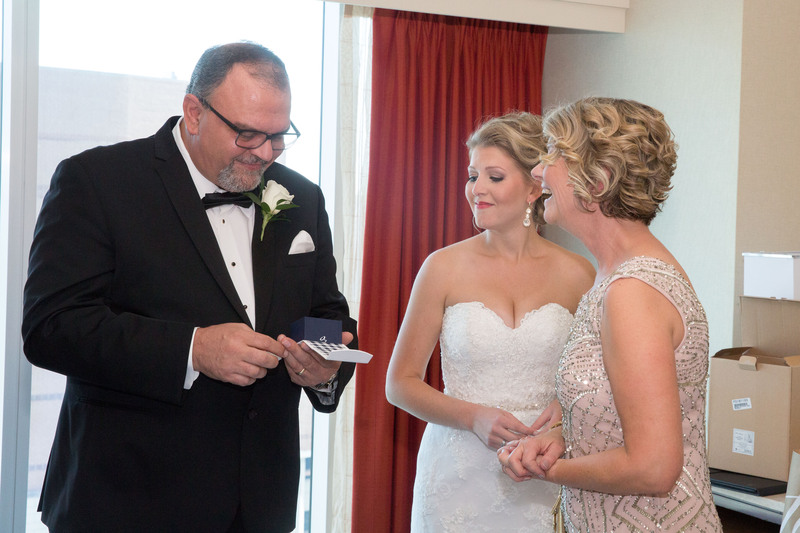 This is often an emotional day for them as well so we always like to see when the Bride and Groom take the extra time to share a special moment with their parents on this beautiful day. Some write letters to their parents while others may give gifts but I’m sure that they will feel special if you simply set aside time for just them. This may be the most magical day in the world to a flower girl. All of the big dresses, flowers and make-up can make her feel like a princess. 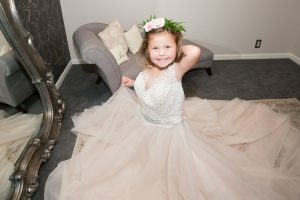 If you want to make this moment even more special let your flower girl try on your wedding dress and have your photographer near by. Her little face will light up and it will be something that she may treasure for many years. Keep these photos for the years to come and you could give one to her on her wedding day. With all of your family together for your special day we often find ourselves thinking about those who were unable to join us on this milestone. There are many ways that you can remind yourselves that they are still with you. Photo displays, special images with their pictures or many more ideas can be found on this link. Typically on your wedding day you will have a strict schedule that you will (try your best to) stick to. Some may even print the schedule off and hand it out to keep everyone in check. Couples may find that leaving each other special notes everywhere will keep the magic throughout the morning. You could leave a note in her overnight bag or put a sticky note on his watch/ shoes. Those little trinkets will certainly put a smile on your face. You can order a custom wedding day note by clicking on this link. 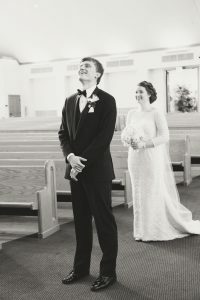 So many things change when it comes to weddings over the years. Traditions, fashion, and details are just a few of those things. Many couples are taking the time to reflect on the day that their parents were wed. Your parents and you can then sit down and talk about the special moments on their wedding day that they remember. You may end up sharing similar memories but now you can remember traveling down memory lane with your parents on this day as well. Of course these are only a few out of the many magical moments that we are blessed to witness but what really makes your wedding day so special is the beautiful love between two people uniting at one. This is why we love what we do so much! We can’t even get ourselves to call it a job because of the joy that wedding photography truly brings us. We are the devoted Bello Romance Photography Team.